Olive’s Room is located in a carefully renovated portion of the historic Red Stables building in St. Anne’s Park. The elaborate Victorian redbrick stables, built in the 1880s and now a protected structure, also currently house an exhibition space. 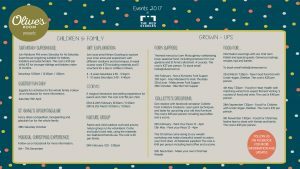 Plans are in development to complete the renovation, creating a unique event venue in the lovely, leafy surroundings of the park. 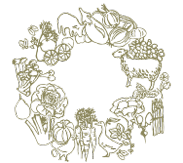 Olive’s Events are a series of events for family and grown ups taking place either in our tearoom or elsewhere in the Red Stables. 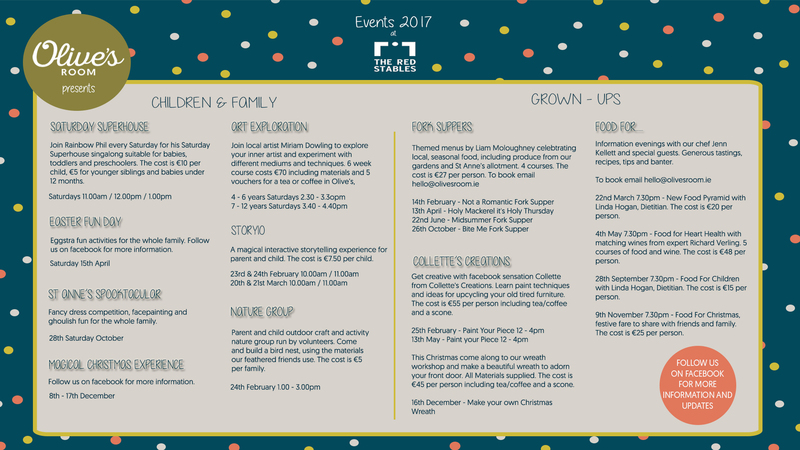 Below is a snapshot of what’s happening in 2017 (please follow us on Facebook @olivesroom.ie for updates). For more information on what’s happening in St. Anne’s, visit Dublin City Council’s Website or their Parks & Biodiversity facebook page. Runners should check out the Park Run facebook page.